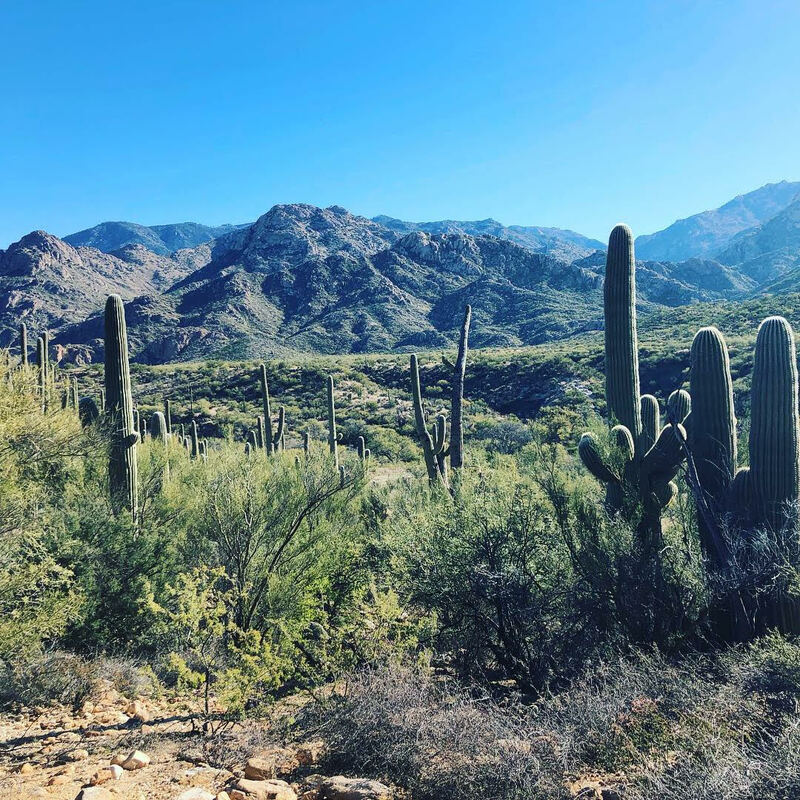 The Sonoran Desert in Southern Arizona. Photo courtesy of Lauren Harper. Assistant U.S. Attorney Anna Wright argued the first of the Trump administration’s three cases against the humanitarian aid organization No More Deaths in Tucson last week. (The group leaves food and water for migrants crossing the desert and has led efforts to recover remains of those who have died.) Emails released to The Intercept under the FOIA show how the Fish and Wildlife Service, an Department of Interior agency that administers much of the land on the southern Arizona border, has targeted the organization in particular, seeking to blacklist its members from access to a number of public sites. The case is a reminder that while DHS agencies like Border Patrol and ICE have received the lion’s share of public scrutiny for their role in immigration enforcement, the Department of Interior agencies that administer much of the public lands in the American West – Fish and Wildlife Service, the National Park Service, the Bureau of Land Management – warrant more. On Monday U.S. Magistrate Judge Bernardo Velasco found the four volunteers tried in the first case guilty of misdemeanor charges, for which the maximum penalty is six months in prison. The first volume documents the 2003 invasion, and the second covers 2007-2011. 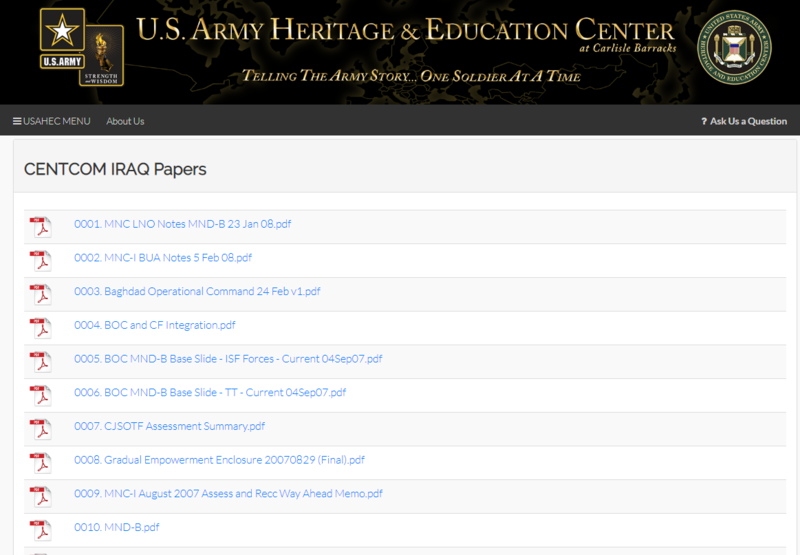 The release comes at a time when the Army’s historical field staff – in both Iraq and Afghanistan – is having a difficult time collecting and preserving data, in large part because of records management requirements that put the responsibility to preserve records on soldiers. An excellent 2017 Atlantic article shows that the Army’s historical field staff, which maintained more than 20 historians in Saigon during Vietnam, hasn’t placed a historian in the field in Afghanistan since 2014, believing average soldiers could be trained to save documents and hand them off, along with sources of information. The Center for Military History’s Jerry Brooks says this theory overlooked the fact that “that people are lazy.” Historians dealing with Iraq have avoided some of these lapses, but still suffer from fewer personnel in the field than in past wars. On New Year’s Eve US Strategic Command, a joint military command responsible for missile defense and nuclear operations, sent a tweet that was bizarre at best. It read: “#TimesSquare tradition rings in the #NewYear by dropping the ball…if ever needed, we are #ready to drop something much, much bigger,” followed by a video of a B-2 bomber dropping bombs. People were perplexed, angry, and horrified and STRATCOM pulled the tweet and issued an apology hours later. National Security Counselors’ founder Kel McClanahan has a must-read posting on his efforts, on behalf of the good folks at MuckRock, to force the CIA to release its CREST database of nearly 13 million unclassified documents that were previously only available onsite at a NARA facility in Maryland. The agency’s excuses for avoiding complying with the FOIA request and the lawsuit for the database are dubious at best, ranging from lack of public interest in the records and the need for the Agency to use surveillance cameras to record everyone who visited the CREST computers in Maryland. The CIA eventually posted the documents online – but only after telling MuckRock and others that it would take 28 years and $108,000 to release the set. This week’s Cyber Brief focuses on the January 17, 2019 amendment filed by the Democratic National Committee to their original lawsuit against the Russian Federation, the GRU, Wikileaks, the Trump Campaign, and several individuals related to the mentioned organizations. The amended complaint, the DNC’s second in the case, alleges Russian attempts to hack the DNC through a spearfishing campaign soon after the conclusion of the 2018 midterm elections. This week’s #TBT is chosen with the recent death of CIA officer Tony Mendez, immortalized in the film Argo as the mastermind behind the operation to rescue six American diplomats from Iran during the 1979 hostage crisis, in mind. This week’s pick is a 2012 Foreign Policy article written by Nate Jones that focuses on declassified CIA documents published in the CIA’s in-house journal, Studies in Intelligence, on the origins of the rescue mission.